PartsTrader is an easy-to-use online marketplace that allows automotive trade buyers to find the right parts, at the right price, at the right time from new and recycled parts suppliers. 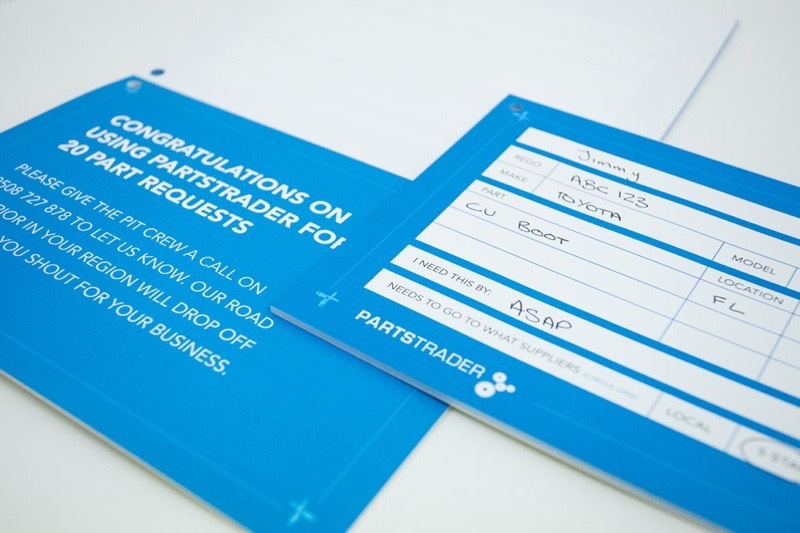 PartsTrader wanted a pad that could be given to its client so that mechanics could more easily identify the automotive parts they needed and to encourage them to source these parts through the PartsTrader platform. We created an A5 pad that did just that and because we were printing digitally and each page in the pad could be unique, we added a message on the last page of the pad that rewarded the user for placing 20 part orders and also messages throughout the pad to explain how close the user was to receiving the reward.